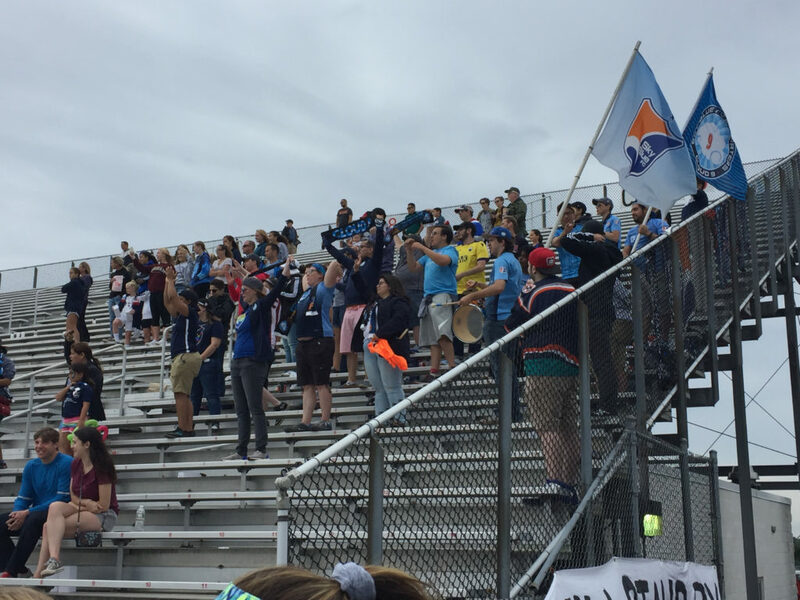 Sky Blue FC avoided the stigma of playing an entire NWSL season without a single victory as they closed the 2018 season with a 1-0 home win over the Orlando Pride. Carli Lloyd scored in the 74th minute and Kailen Sheridan recorded her second shutout of the season. 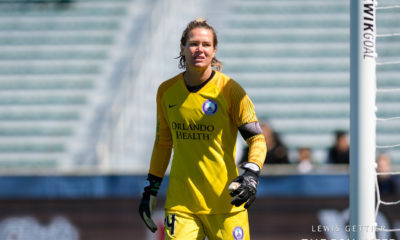 The team’s league-record, 23-match winless streak came to an end while the Pride end their campaign having lost four in a row and played six without a victory. Both teams came flying out of the box with strong chances in the opening 10 minutes. First Sky Blue rookie Imani Dorsey rang a shot off the crossbar. A few minutes later, Alex Morgan got in behind the Sky Blue defense but Erica Skroski made a fantastic, recovering slide tackle to put out the fire. Skroski later made a similar play on Morgan in the second half. The match remained scoreless approaching the 74th minute when a Haley Kopmeyer goal kick was turned the other way and Shea Groom dribbled through the midfield. As three Pride defenders moved to close her down, Groom slipped a pass through them to Lloyd whose one-time rocket beat Kopmeyer inside the right post. 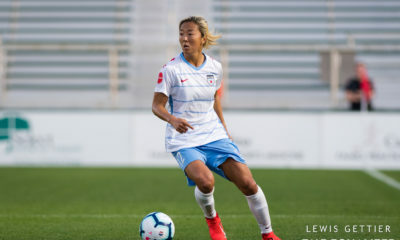 Unlike their most recent home match when a late lead dissolved on the final touch of the match, Sky Blue were not about to let this one slip away. When the final whistle sounded players sprinted off the bench to celebrate at midfield. The team then joined hands and came behind their bench to salute Cloud 9 who were boisterous throughout the afternoon. They were part of the team’s largest crowd since 2015—4,086. Sky Blue (1-17-6, 9 pts) finish last in the table but will not have the first pick in next year’s draft. Utah Royals FC were handed that pick as part of their franchise agreement. They have since traded it to the Chicago Red Stars. The Pride (8-10-6, 30 pts) finished seventh. Their first round pick was traded to the Washington Spirit. In their final match before they head to North Carolina for their semifinal next week, Chicago started off strong and went into the locker room up by one despite missing several starters, but Utah stormed back in the second half to finish their season with a win. Julie Ertz, Danielle Colaprico, Casey Short, and Vanessa DiBernardo were all on the injury report, with only Colaprico making a late appearance. Brooke Elby was also on the injury report and subbed off in the second half or Morgan Brian. For Utah, Kelley O’Hara returned for the first half, starting up top with Amy Rodriguez and Christen Press while Katie Stengel occupied the number ten spot in a different look for the Royals. The majority of the first half was played out in the center of the park, with the Red Stars looking the more dangerous of the two teams. While Utah was able to get in and around Chicago’s box, they struggled to put Alyssa Naeher, either sending the ball straight to her or shooting it well over the net. Unsurprisingly, it was Sam Kerr who broke the deadlock. In the 38th minute, Michelle Vasconcelos passed off to a wide open Arin Gilliland on the left flank. The fullback one-timed a cross into the box, where Kerr got inside Becky Sauerbrunn and leaped into the air to head the ball past Nicole Barnhart. Yuki Nagasato nearly doubled their lead a few minutes later, firing a rocket that Barnhart had to go full stretch to tip over the crossbar. However, it was a different story. A change in formation spurred by the substitution of Taylor Lytle for O’Hara paired Rodriguez and Stengel up top, and the Royals began to take control of the match, owning possession and forcing the Red Stars to chase. In the 55th minute, Rodriguez edged away from Katie Naughton and called for the ball from Katie Bowen. The New Zealander obliged, and Rodriguez used her first touch to redirect the ball off the inside of the near post and in the net. Ten minutes later, they doubled their lead. Lytle launched a cross from the left flank, where it was met by Stengel, who beat Sarah Gorden on her well-timed near post run for an easy header into the back of the net. The Red Stars’ best chance of the half came with twelve minutes to go when Nagasato created space for herself in the box and tried to fire the ball over Barnhart, but the keeper was able to get a hand to it and tip it over the crossbar. Prior to this match, the Royals had lost both of their previous meetings to Chicago without scoring a single goal on the Red Stars. They finish in fifth place at 9-7-8 in their inaugural year. Chicago, already assured of fourth place thanks to last night’s results, finishes the regular season at 9-5-10. The Courage steamrollered over the Dash to finish out a record-setting season and prepare themselves for the playoffs. It was evident from the start that the Courage didn’t intend to take any sort of break, rolling out with their standard XI and nearly getting on the board right off the bat. Not long after Abby Erceg denied Sofia Huerta with a beautifully timed tackle, they did just that. Taking on Amber Brooks 1v1, Jess McDonald pulled Jane Campbell off her line and beat the keeper at a very tough angle to open the scoring. In a very strange sequence ten minutes later, Lynn Williams sent a slow roller off the far post. Arriving into the box just in time for the rebound, Crystal Dunn sent the ball back in and hit the opposite post. Third time proved to be the charm as Dunn cleaned up her own rebound. Just before halftime, the Courage made history with their 51st goal of the season, an NWSL record. Appropriately, t was Lynn Williams, who beat Lindsey Agnew to the ball before cutting it back and slicing one past Campbell. It was clear the rout was on and just as clear that the Courage had no intention of slowing down. While Houston initially had the advantage in possession, they weren’t quick enough to take advantage of the few opportunities they had despite an uneven night from Katelyn Rowland, and their attempts to make offense happen left them out of shape and wide open for the Courage to counter. In the 57th minute, Jess McDonald received the ball after a cheeky backheel from Debinha. She sent a long ball to the far post, where Williams met it and had no problem poking it in for her second of the night. Not to be outdone, just minutes after subbing on, Kristen Hamilton brought down an aerial ball and took a great first touch to separate herself from her defenders. She went for the near post, drew Campbell out, and roofed one over the keeper. The Courage finish in first place, of course, at 17-1-6. Houston wraps up their season in sixth place at 9-10-5.